Media files that are not purchased from iTunes stores are often deleted by iTunes mostly during transfer. iTunes not being easy to use. 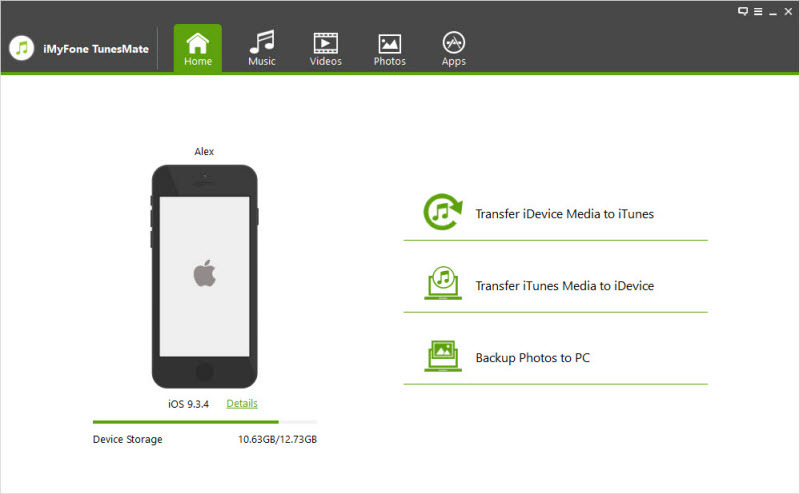 Hence, if you are looking for ways to transfer files from iPhone without using iTunes, worry no more. All issues are covered here. All you need to do is to follow up the guide and be the master of your iPhone device. 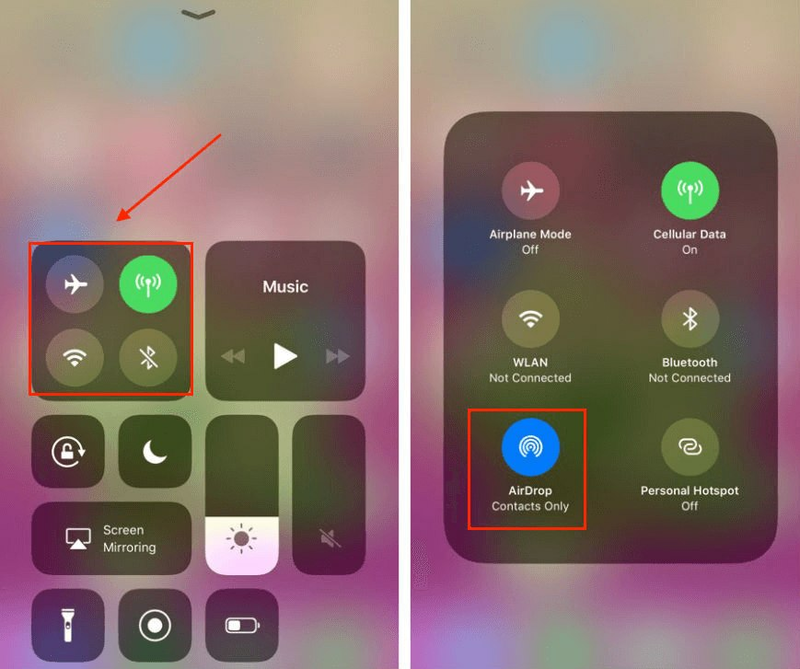 One of the significant problems associated with iPhones is the recognition of song names and finding a possible solution is not easy to come by. iMyFone TunesMate, on the other hand, can solve this problem. 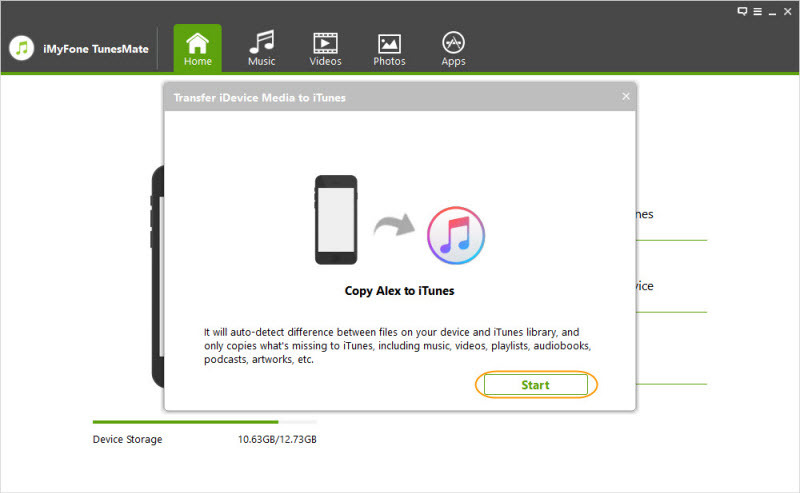 An excellent alternative to iTunes is the TunesMate which helps in iPhone file transfer. Also, it supports not only music, videos, but also photos, apps etc. TunesMate also allows data to be previewed before being transferred. 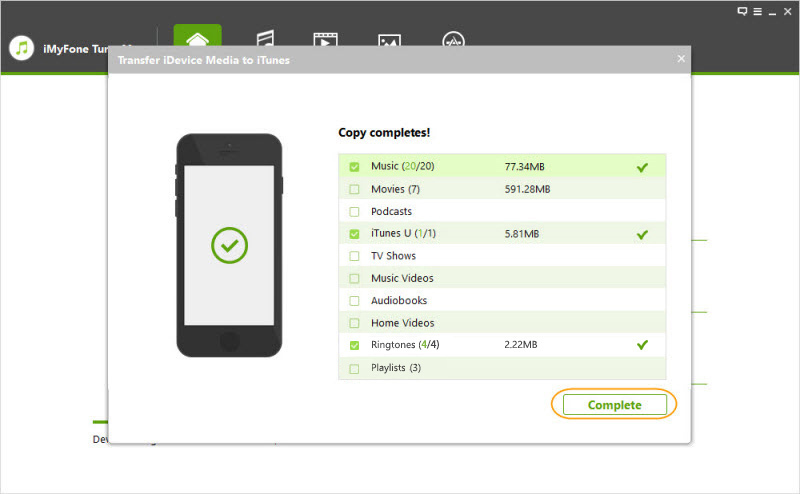 The process is straightforward: you just have to install and lunch the app on your PC. This is an application that supports every type of file, and it allows you to deal with file formats the way you want. Freely transfer files between PCs and iOS devices bypass iTunes limitations. Enrichment of your iTunes library can be done between iTunes and iDevices with different Apple IDs. Support all types of media files including music, playlists, videos, photos, apps etc. Files that are both purchased and not purchased can be transferred. Selectively transfer files without blind syncing everything altogether. Launch TunesMate and connect your iPhone to PC. Select "Transfer iDevice Media to iTunes" on the home interface. After scanning your iPhone, a list of your files will show up. Choose the files you want to transfer and uncheck the rest. Then click "Start". Wait for a few moment, it will be done. Then click "Complete" to finish. Go to icloud.com and log in your iCloud account. 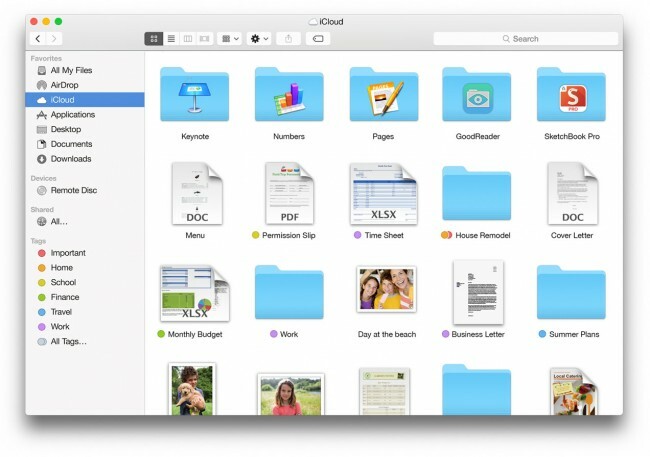 Click on “iCloud Drive”, then select a folder where you put your files. Choose the file you want to transfer and click “"Download" and it’s on your computer now. Only 5GB free storage is available for each Apple ID. 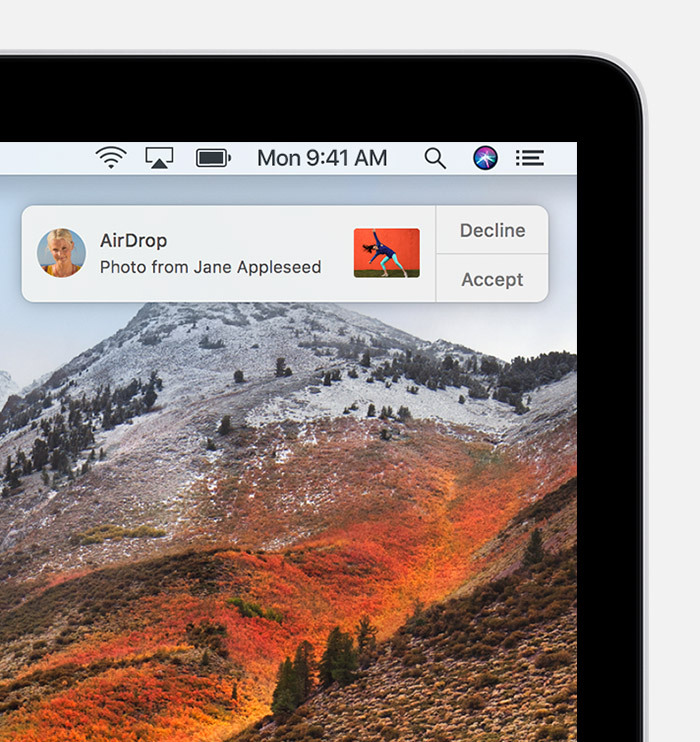 In the left-hand column, open a finder and select Airdrop. Turn on your WIFI on your PC and connect both PC and iDevice onto the same WIFI network. Select from “contacts only”, “Everyone” or “No one” in the contact window. select the file you want to export, and you will get a popup on your PC telling you to approve the file you want to share. The file will appear in the download folder once you approve it. 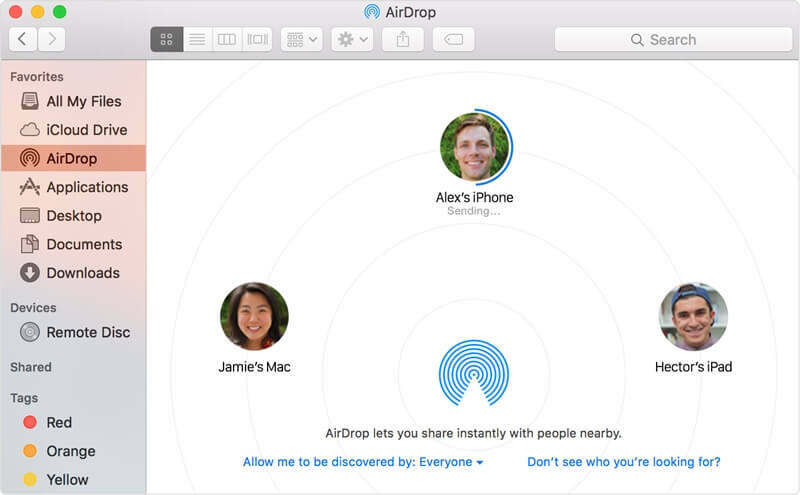 Not all Macs support AirDrop, check out AirDrop system requirements. On your mobile device, open the email app, add an email address and attach the files. On your PC, access the email and download the files. It usually takes a long time to download large files using this method. By now, I’m certain majority of all the problems regarding the iPhone file transfer issue without iTunes have been addressed. Every solution has its benefits. Look for the one that is more convenient for you, follow the steps carefully as described above and become the master of your device.